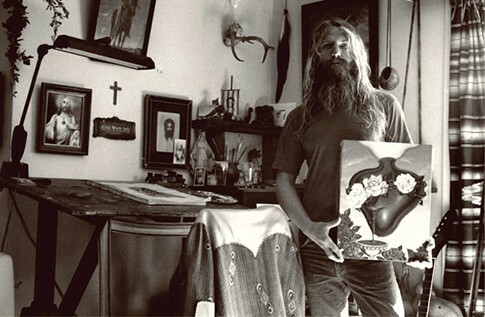 Rick Griffin "1997 Surf Culture"
PHOTO: 1971 Rick Griffin, The Heart Painting "Rick was on one of his Jesus trips," recall John Van Hamersveld . Photo Courtesy JVH. A Southern California teenager in the 1950's, Rick Griffin was developing his art when John Severson, founder of Surfer magazine, visited his high school and got a glimpse of his work. 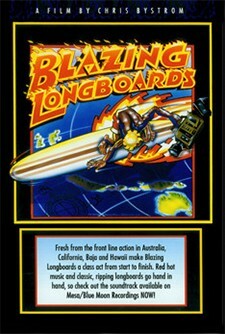 Impressed by Griffin's unique style and enthusiasm for the sport, Severson eventually invited him to work as an artist for Surfer Magazine. By graduation Griffin's artwork began showing up on covers of surf publications, on surf music albums and inside comic books and magazines. 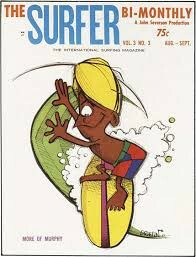 Griffin experienced a brief encounter with traditional art school, attending Chouinardd Art School, but the "Duke" of surf art primarily gained long lasting fame through his creation of the cartoon gremmie "Murphy" for Surfer–a character who personified the surfing lifestyle and appeared on the cover of Aug./Sept. issue in 1962. 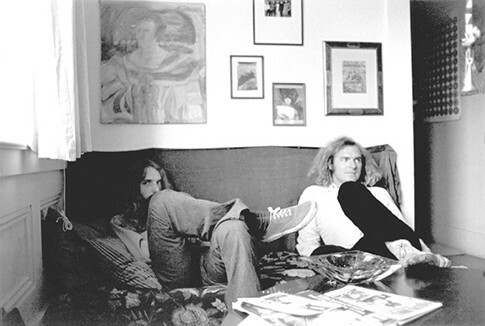 Moving to San Francisco in 1965, Griffin, now deceased, became actively involved in the culture movement of that area creating posters and handbill for such noted artist as Janice Joplin and Jimmy Hendrix. He broke artistic ground by creating radical posters for rock concerts and the famous Filmore and Avalon Ballroom–and he formed the publishgraphics for that growing market. 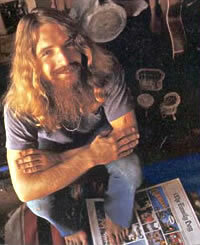 During the 1980's he spent much of his time creating artwork for the Grateful Dead. 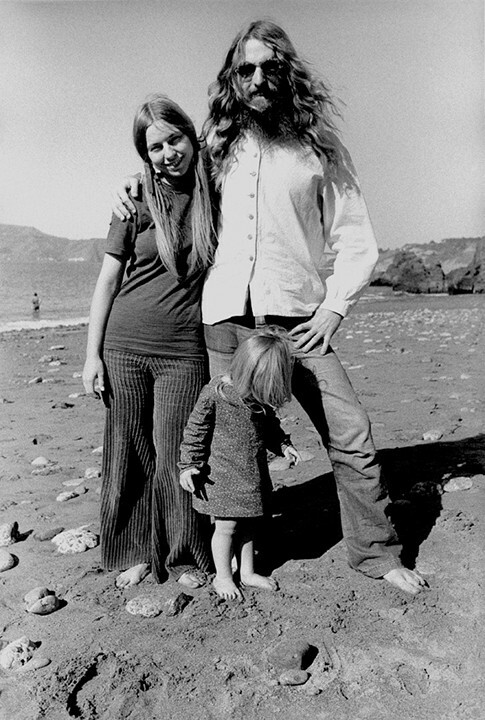 PHOTO: 1969, Rick and Ida Griffin with daughter Adelia near Baker Beach, San Franciso, CA. Courtesy JVH.